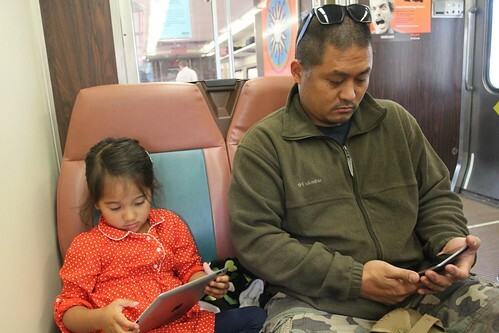 Mali Mish - Day 57: Downtown Chicago via the South Shore Line. The South Shore Line picked us up at 8:30 in the morning. It is the earliest start we have had in a long time. It goes from South Bend all they way into downtown Chicago at the Millennium Station. That is much cheaper and way less hassle than driving in ourselves and having to deal with traffic and paying for parking. 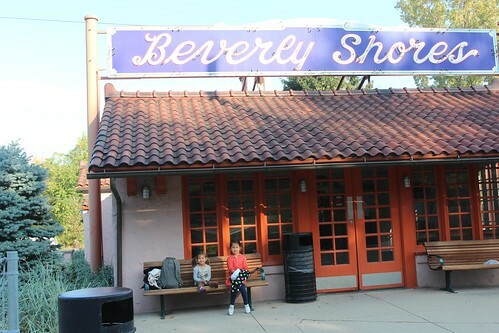 The ride to Chicago from Beverly Shores takes about 90 minutes. 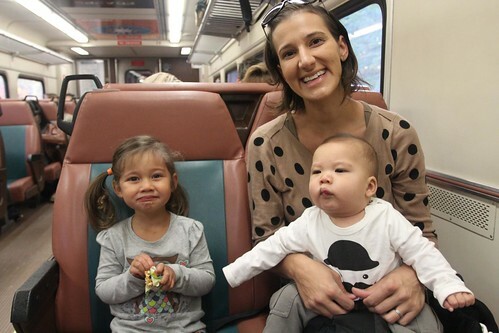 There are people who ride the train everyday to go to work in Chicago. We came prepared with all the electronic toys to keep ourselves entertained for the long ride. 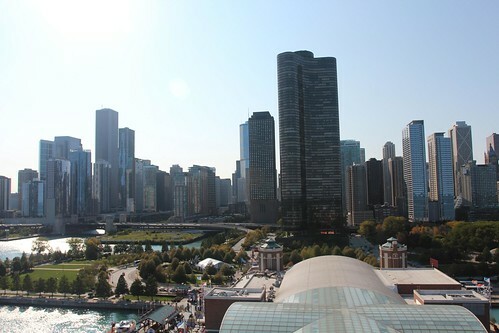 The Millennium Station is right next to Millennium Park in downtown Chicago. 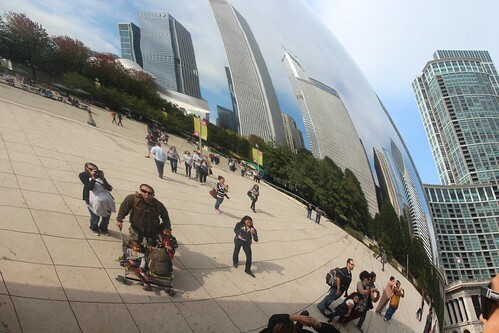 The famous bean sculpture is right across the street from the train station and we took the obligatory tourist self portrait in it along with hundreds of other visitors. 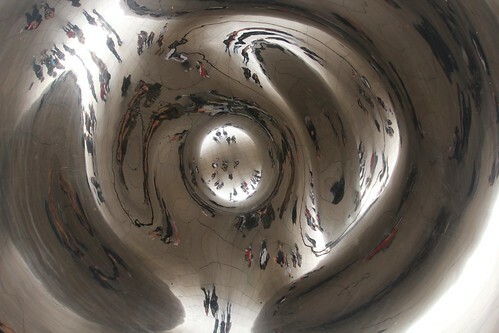 If you stand directly underneath the bean and look up, this is what you will see. We are in the middle of the circle right in the center of the photo. 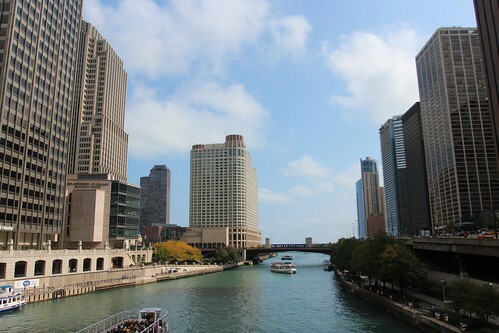 If you wanted to really explore Chicago, you can either hop on the L train and visit all of the neighborhoods, or take a boat ride along Chicago river. We opted to just walk around today. Straight up Michigan Ave from Millennium Park is the Magnificent Mile right across the river. Having spent many years here, the ‘G.O.A.T’ still has a decent presence here in the windy city. 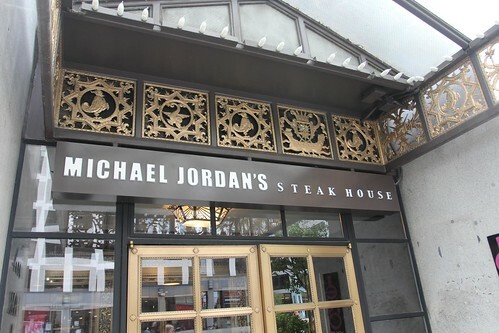 Here is his steak house right on Michigan Ave. 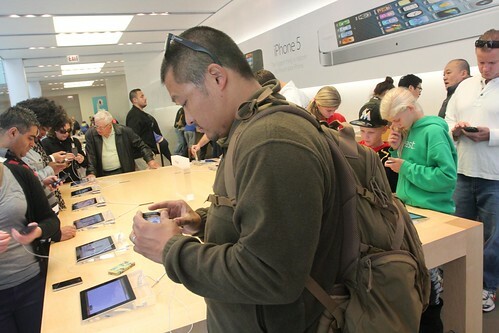 I had to stop at the Apple store to check out of the new, improved, thinner and taller iPhone 5. It’s nice and I get why millions of people cover it but I think I am sticking with the Android platform for the foreseeable future. 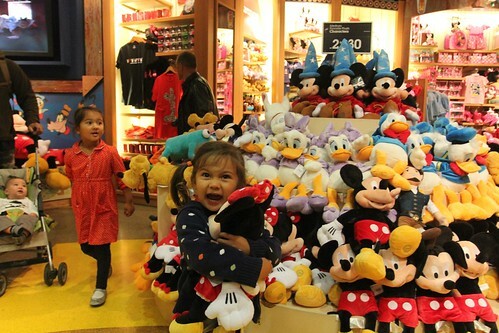 Just to be fair, the girls got to do a loop through the Disney store. 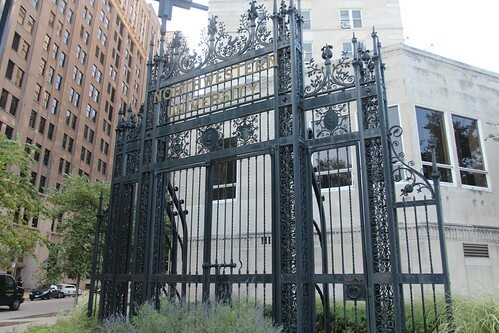 Our walk took us through the Northwestern campus which is in the heart of downtown Chicago and along Shoreline drive. We traversed through the campus and headed towards Navy Pier. 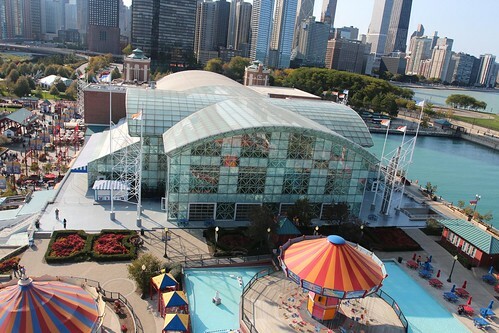 When we were here in 2006, we didn’t really think Navy Pier was all that interesting. Nothing much has changed except that we now have kids tagging along. 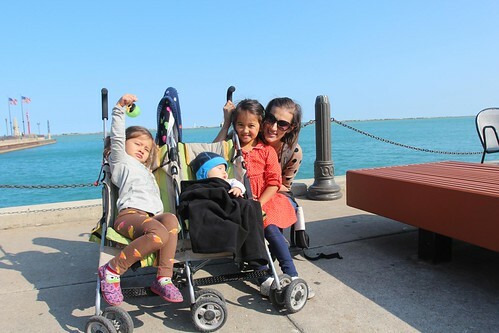 They liked everything about Navy Pier. 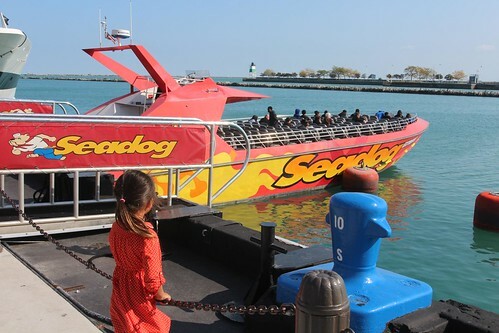 Ava saw this speedboat tour doing donuts in the water just outside of the harbor and inside the breakwaters. She was hoping to see it up close but of course those maneuvers are not allowed near the pier. 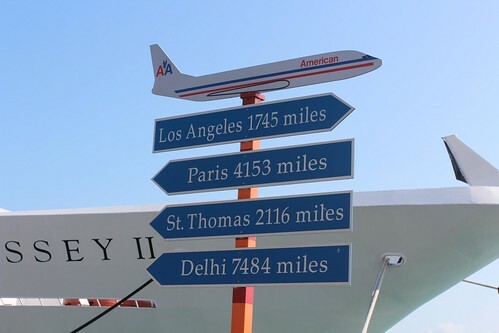 We are definitely a long ways from home. This is the distances as the crow flies. We have traveled around 5,000 miles already in less than 2 months to get here. We finally busted out the double stroller we bought during our last trip in Jacksonville, FL. We knew eventually we are going to need it. Instead of Ava and Mila, now Mila is sharing the stroller with Luka. 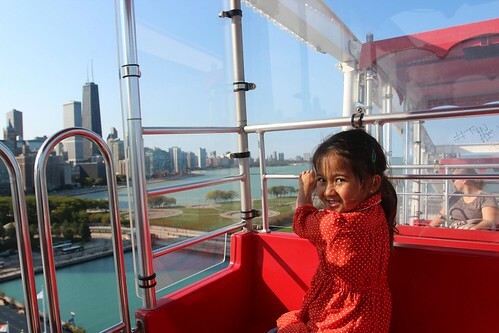 As soon as Ava saw the ferris wheel at Navy Pier, she started asking like a broken record about going on it. I didn’t think she would be brave enough to go on such a large one at over 150 feet tall, but I guess our time at Lakeside Amusement Park has gotten her ready for anything. 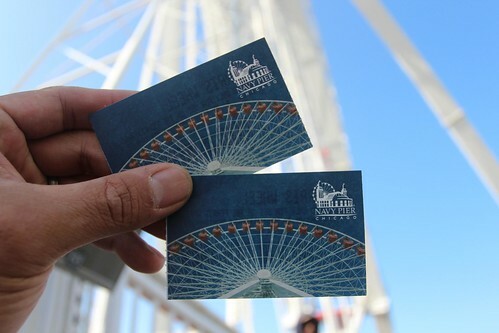 The ferris wheel is really slow and you can barely tell that its moving when you are up there. At this size, it takes about 7 minutes to make a whole revolution. That also means you only get to ride it for one loop before you have to get off. At $6 a person, it isn’t too bad of a price. The view of the skyline from up there alone is worth it. 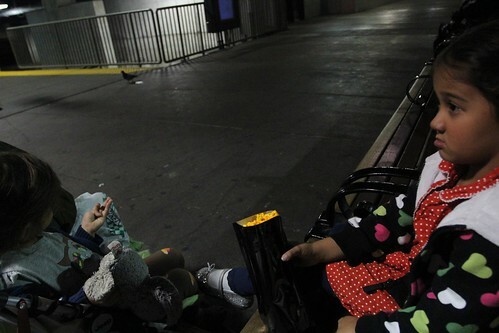 Marlene being afraid of heights, stayed on the ground with Mila and Luka. We had probably walked nearly 5 miles before we finally left Navy Pier. I have been waiting for a long time for some Chicagan food so we headed back into the city for some deep dish pizza. 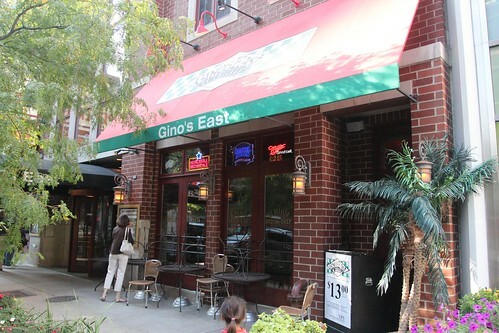 Gino’s East is the self-proclaimed original deep dish pizza joint in town along with a few other ones. For a long time it was the go-to place along with Numero Uno and Numero Due. 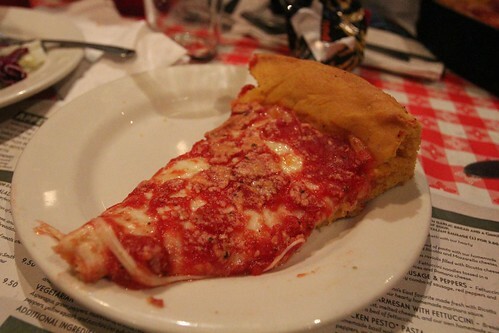 Since then, lots of deep dish pizza joints like Giordano’s and Lou Malnati’s have joined ranks in the best deep dish. 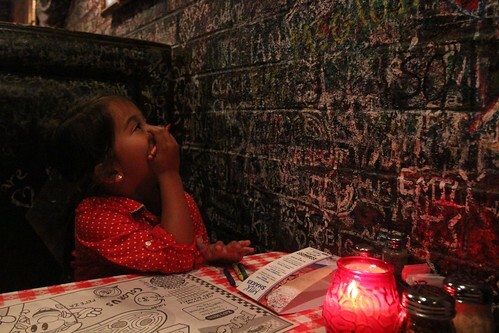 Ava was really intrigued at their policy of allowing patrons to write on the walls. It completely negates everything we have taught her about dinner manners. The pizza was good, but it has definitely changed since our last visit. The crust is less flaky and more chewy and it seems to be not as thick as I recall. I think maybe they are starting to cut some corners in the pie to put out more of them. Ava was a real trooper today. She walked everywhere with us and did not complain much. We probably logged closed to 7 miles by foot today as we finally got back to the train station for another 90 minute ride home. It was a long day and she is going to sleep well tonight.